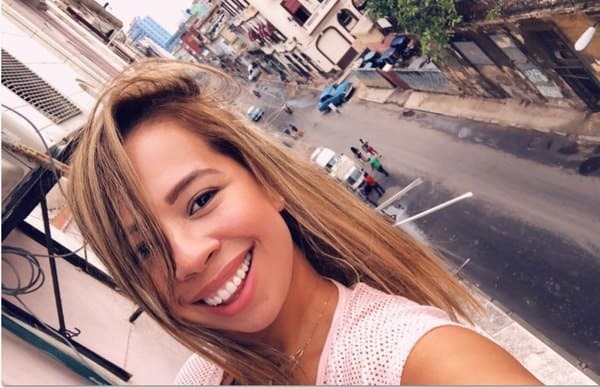 Judicial Investigation Police (OIJ) on Monday confirmed to The Tico Times that they have discovered a female body near the Airbnb property where missing tourist Carla Stefaniak had been staying. The OIJ has not yet identified the body, which will be sent for an autopsy. Stefaniak, a tourist visiting Costa Rica from the United States, has been missing since Nov. 27. She was residing at an Airbnb in San Antonio of Escazú, San José. Walter Espinoza, Director General of the OIJ, said in a Monday afternoon press conference that the body was found by the organization’s canine unit. “The body was in a state of decomposition, but preliminary observations from investigators verify it is a woman’s body,” Espinoza said. The OIJ also swept the Airbnb apartment for biological evidence and found fluids appearing to be blood that were sent for additional testing, Espinoza said. According to friends of Stefaniak, she had messaged Tuesday evening that it was raining heavily and that the power had gone out. “It’s pretty sketchy here,” Stefaniak reportedly sent, before all communication ceased. Stefaniak missed her flight out of the country the next day, prompting alarm from friends and family who flew to Costa Rica to assist with the search. In addition to the OIJ, the U.S. Embassy and FBI were also alerted. Espinoza said Monday that the case remains under investigation. Less than a month ago, police in San Antonio of Escazú found the dismembered body of 28-year-old local Stephannye Paola Castro Mora. The OIJ has not named a suspect in the Costa Rican’s death. Stefaniak’s disappearance also comes weeks after Costa Rica’s Tourism Board launched a campaign for tourist safety. This is a developing story. It was last updated Monday at 6:05 p.m. Stay tuned to The Tico Times for more.